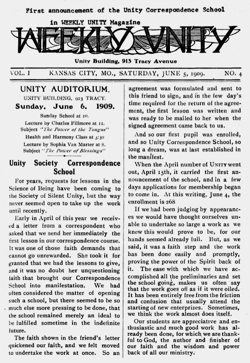 Weekly Unity, Saturday, June 5,1909. 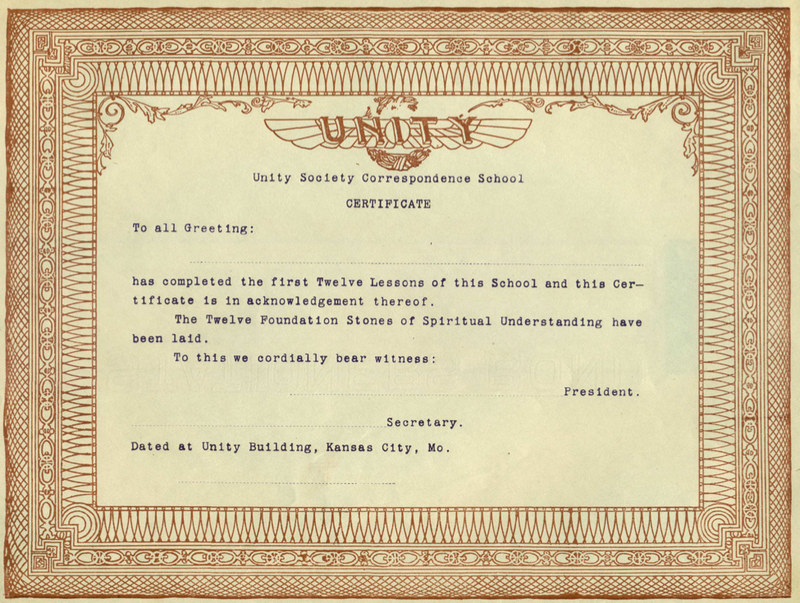 For years, requests for lessons in the Science of Being have been coming to the Society of Silent Unity, but the way never seemed open to take up the work until recently. Early in April of this year we received a letter from a correspondent who asked that we send her immediately the first lesson in our correspondence course. It was one of those faith demands that cannot go unrewarded. 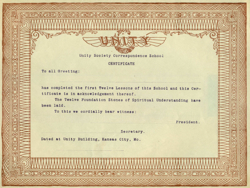 She took it for granted that we had the lessons to give, and it was no doubt her unquestioning taith that brought our Correspondence School into manifestation. We had often considered the matter of opening such a school, but there seemed to be so much else more pressing to be done, that the school remained merely an ideal to he fulfilled sometime in the indefinite future. The faith shown in the friend's letter quickened our faith, and we felt moved to undertake the work at once. So an agreement was formulated and sent to this friend to sign, and in the few day's time required for the return of the agreement the first lesson was written and was ready to be mailed to her when the signed agreement came back to us. And so our first pupil was enrolled, and so Unity Correspondence School, so long a dream, was at last established in the manifest. 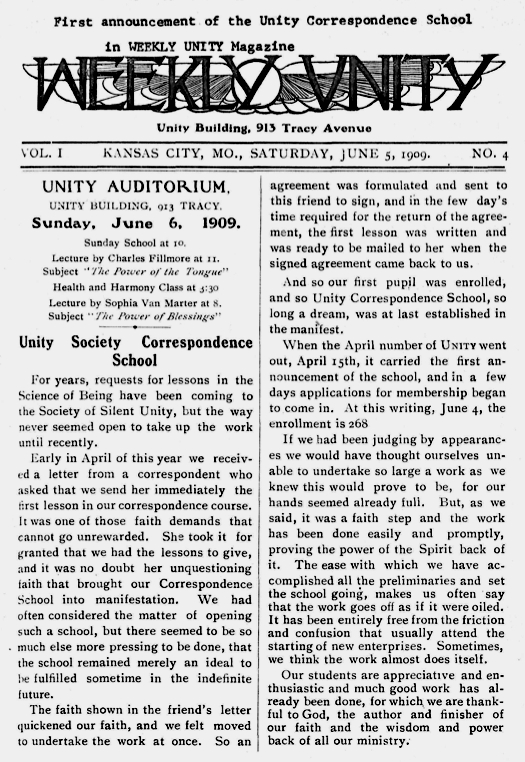 When the April number ol UNITY went out, April 15th, it carried the first announcemenl of the school, and in a few days applications lor membership began to come in. At this writing, June 4, the enrollment is 268.
we think the work almost does itself. back of all our ministry.